We have had two events in the past few days (three if you count our weekly storytime on Wednesday afternoon). 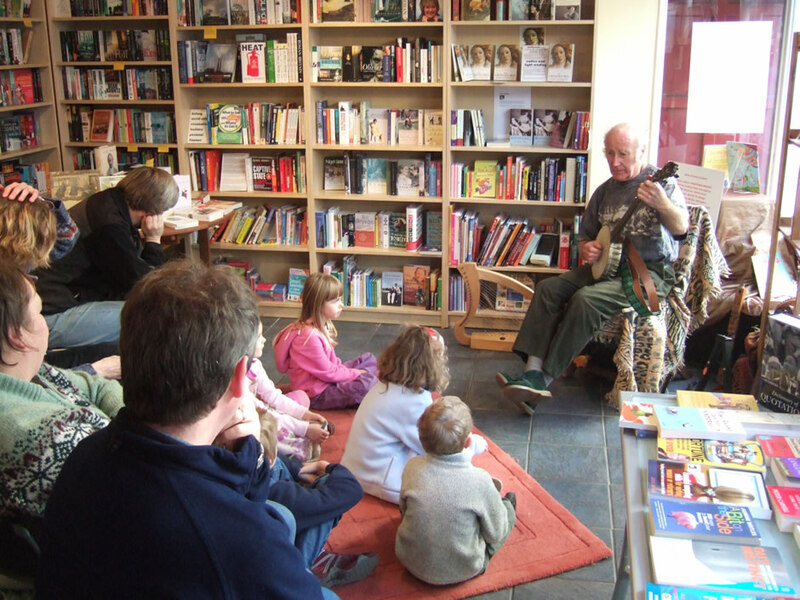 The first of our coffee and Light Reading events took place yesterday morning (more on that shortly) but on Saturday we had "Storytelling" with Peter Hearn. We cleared the front of the shop on Saturday morning, and Peter did two session each of about one hour. The morning session didn't attact too many takers, but we had a great turnout for the afternoon - which went wonderfully. 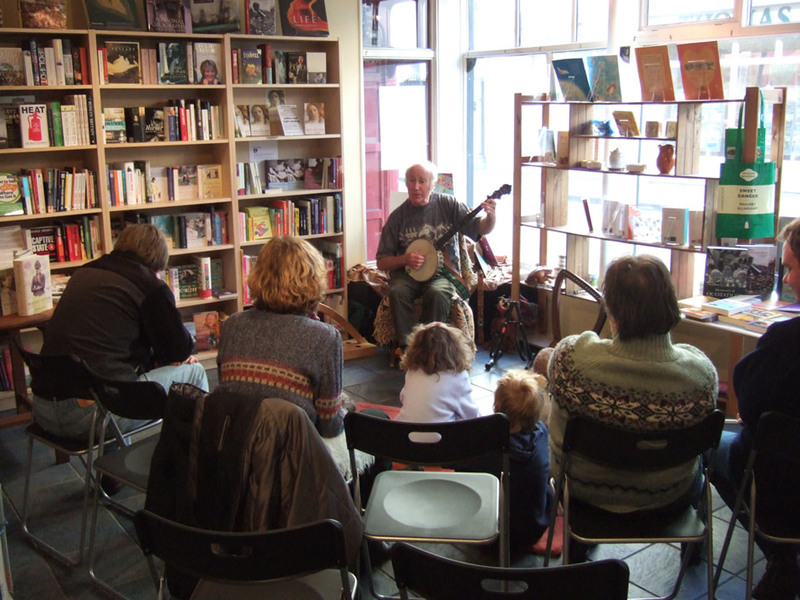 It's not many people who can keep children of varying ages spellbound (and I don't use that word lightly) for an hour, but Peter's combination of story and music (accompanied by a celtic harp, lyre and even a banjo) was a joy to watch. The feedback we received from parents was unequivocal and we have agreed to run another event in the next few months - so watch for announcements on our blog (or - if we ever get it up - our events diary on the main website). Our thanks to Peter - and also for everyone who came along for a wonderful experience. Peter was warming up with some music before both events, and it was nice to see people's faces when they came in, going rapidly from a typical British "uh-oh what banjo weirdness have we stumbled onto here" reaction, and then getting into the whole event and staying to watch! As Peter sings himself during his finale, "We Need More Banjo Players in this World" and I couldn't agree more!